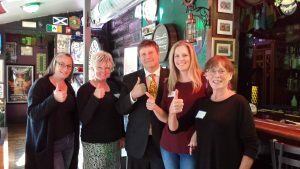 I have been working with the public as an elected official for 23 years in Wheat Ridge. I enjoy working with constituents to solve problems and to improve the quality of life in our communities. Serving you as Jefferson County Treasurer will allow me to serve a greater number of constituents (taxpayers) by bringing more transparency to the Treasurer’s Office with regards to how taxpayer funds are legally collected, managed and invested. I will work with the newly elected County Assessor (in November), the County Commissioners and state elected officials to find and fix the inconsistent property tax assessment debacle in Jefferson County. This issue needs to be addressed DAY ONE. Some property owners in Jefferson County, both residential and commercial, have seen their property taxes increase by as much as 400% in the past two years with no relief in sight. Inconsistent and high property tax assessments have even put some small business owners out of business. Higher residential and commercial rents are a direct result of increased property taxes and someone has to pay the bill. Unrealistic and inconsistent property taxes, in the end, are going to damage the economic vitality of Jefferson County. Let’s fix this starting in November. By the way, the County Treasurer does not raise taxes or lower taxes. The County Treasurer does not protect private property rights. The County Treasurer does not “limit” government. These types of public policy issues are reserved for the voters and the County Commissioners. Questions? Please call me at 720-253-6785 (cell). Have a great rest of summer! Peace. This entry was posted in Campaign updates on Home page, Community Updates, Wheat Ridge Blog. Bookmark the permalink. 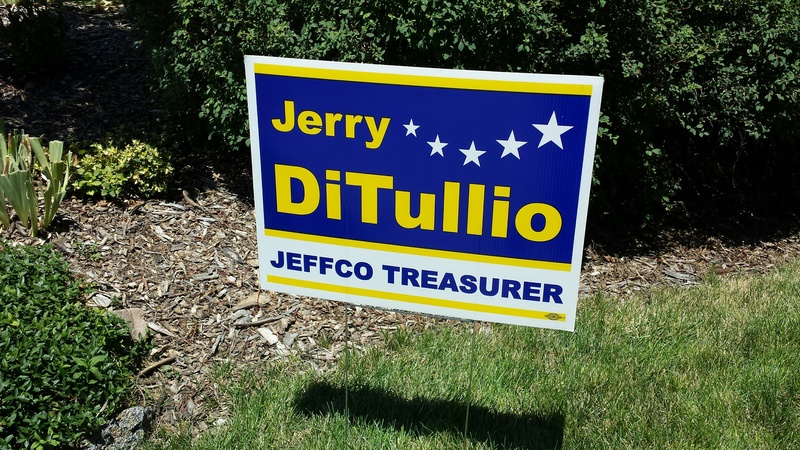 Mayor DiTullio has been an outstanding Mayor for Wheat Ridge. Being Mayor is a hard job, and as citizens we should be proud to have such a competent hard working man willing to take the helm. 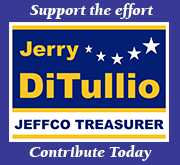 I support Mayor DiTullio in his re-election efforts. 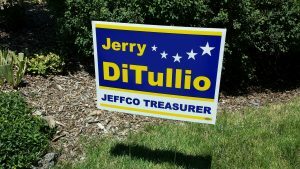 I have known Jerry DiTullio for quite a few years. Jerry is very approachable and eager to listen to comments about “doing business in the City of Wheat Ridge”. Jerry has always been fair minded with any discussions and has acted with the utmost integrity. The politics of leadership in a community and city government can be extremely difficult at times, and Jerry is a leader I am proud to work with.